Jack Tiley AD7FO, of Spokane Valley, has been appointed as the new ARRL Eastern Washington Section Manager starting January 1, 2019. 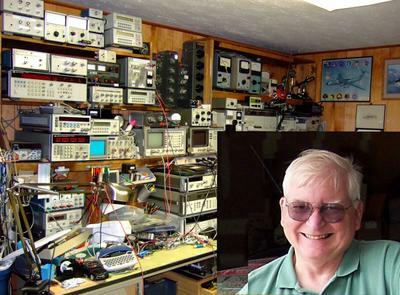 Tiley will fulfill the unexpired term of office that Mark Tharp, KB7HDX, is vacating because he was recently elected as Vice Director of the ARRL Northwestern Division. Tharp, of Yakima, has served as the Eastern Washington Section Managersince October of 2003, and he will begin his term of office as Vice Director in January 2019. ARRL Radiosport and Field Services Manager Norm Fusaro, W3IZ, appointed Tiley after consulting with Tharp and Northwestern Division Director Jim Pace, K7CEX, who is retiring from this position at the end of the year. Tiley, an Extra Class licensee, is currently serving as an Assistant Section Manager and Technical Coordinator and Technical Specialist in Eastern Washington. His appointment as Section Manager will be from January 1 through September 30, 2019. The nomination announcement for the next term of office for the Eastern Washington Section Manager position is scheduled to appear in the April 2019 issue of QST.